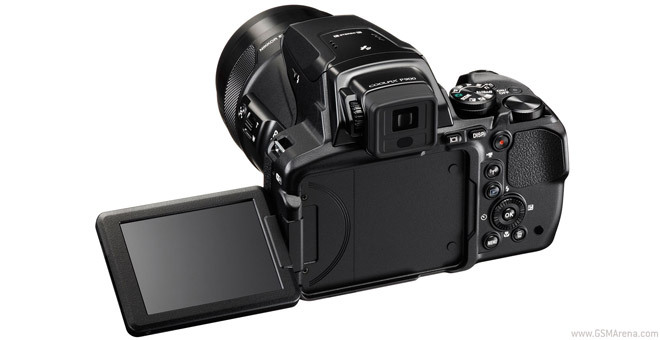 The P900 features a 16MP BSI sensor (1/2.3″) and an impressive set of connectivity features, but all this doesn’t come cheap. The camera will launch on March 19 in the UK at £500 and a bit later (in April) in the US at $600. Anyway, it has something called Dual Detect Optical VR that uses two sensors to fight camera shake – a big problem when shooting at 83x zoom. The EXPEED C2 is in charge of the image processing. 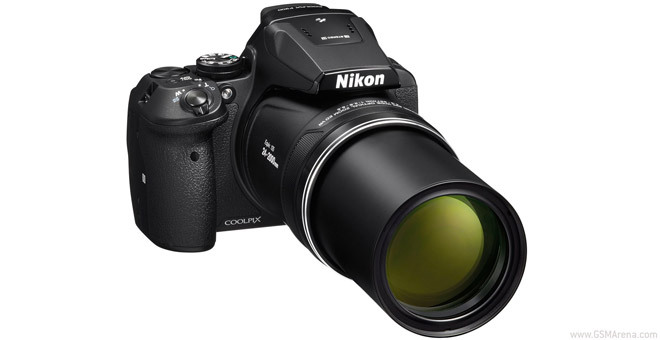 The Coolpix P900 features a 3″ LCD display with 921K dot resolution, plus a 0.5cm/0.2″ electronic viewfinder with a proximity sensor to activate automatically. The P900 can shoot stills in 7fps bursts, while video goes up to 1080p at 60fps with stereo audio. Zoom Microphone combines the video capture and zoom capabilities of the camera by recording a clear sound at various distances. There’s Wi-Fi and NFC on board so you can easily pair and control the Nikon Coolpix P900 with your smartphone. There’s also on-board GPS for tagging and a database of points of interest to find interesting locations nearby.